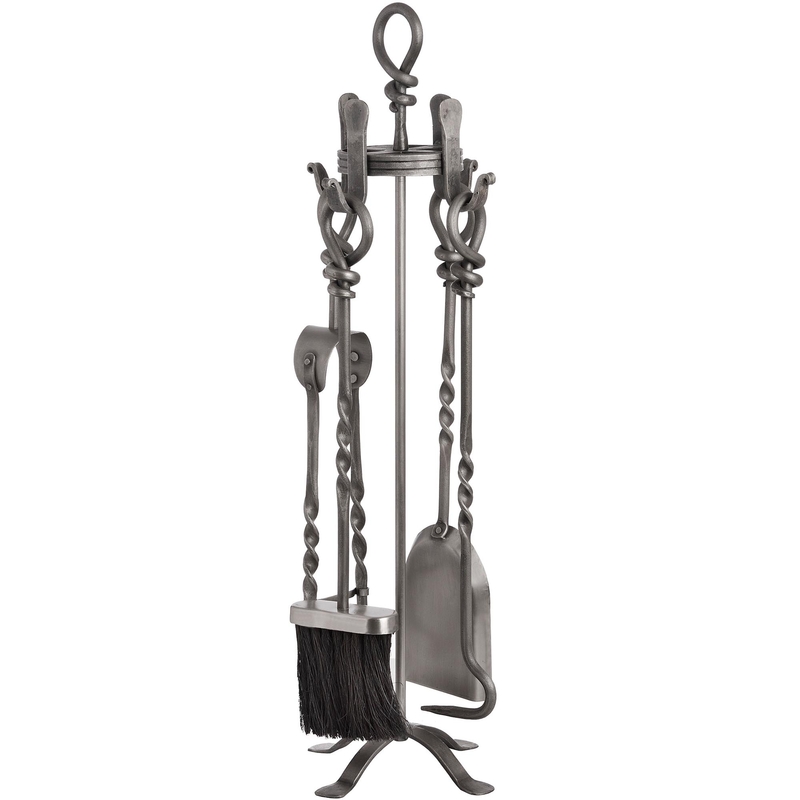 Enhance your fireplace with this tradition Hand Turned Loop Top Companion Set. A very traditional and vintage piece, that will bring fashion to your home while making a statement. This stunning set is made from nickel and comes in a very beautiful silver and antique bronze colour. A piece like this will come in hand and be a very practical piece in your home while still looking stylish.